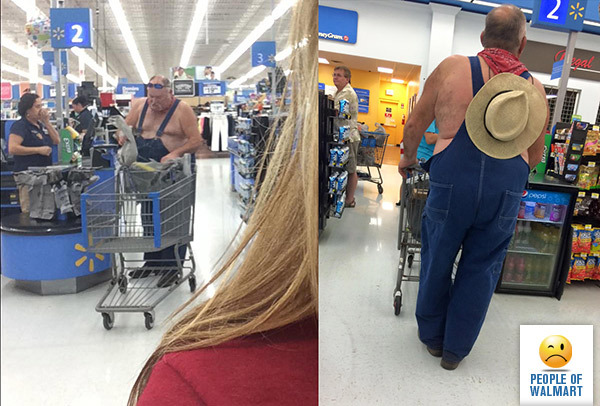 Glad to see Farmer Fran is still doing well. 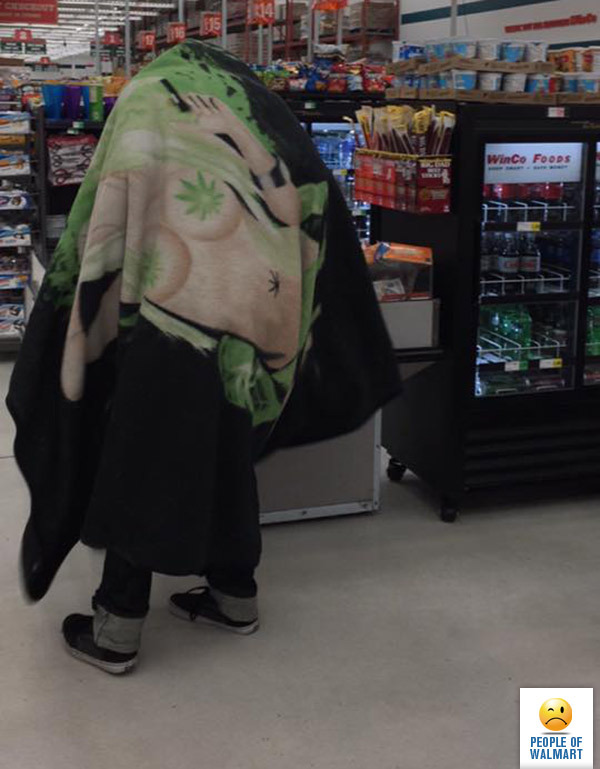 Literally not in the least bit surprised he shops at Walmart though. Have you ever been so high that you built yourself a mobile fort to wage a war on the munchies? I call this look the “stretched out bag of potatoes”. Now that you know that, I need to know who wins this potato sack race. 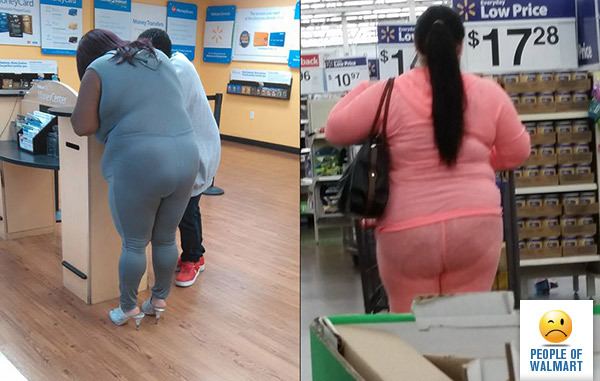 No Comments Featured Creature // Funny // Walmart Fashion // West Virginia // Who Wears It Better? 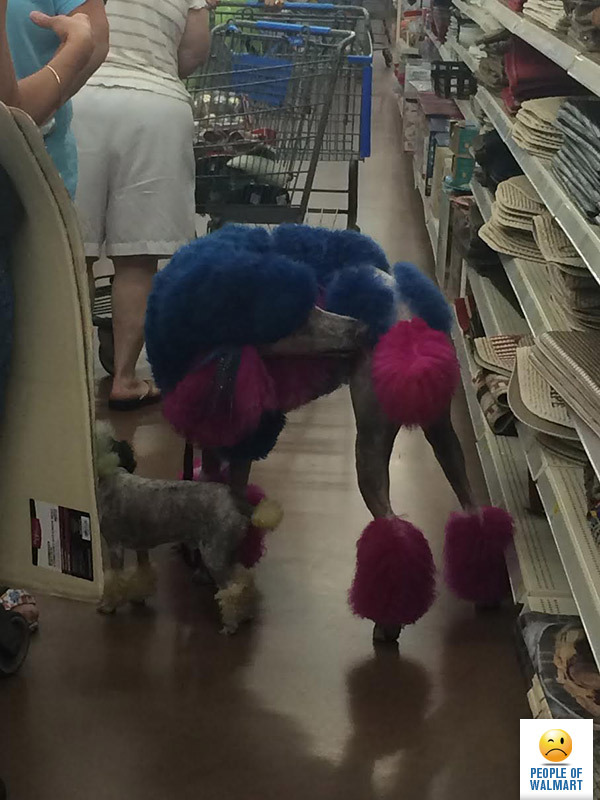 I don’t care how many oodles of Poodles you’ve got or what color combo you have them in, I can tell you they don’t belong in Walmart. And don’t try to pass them off as a service dog either. Being a fashion accessory doesn’t qualify as a “service” animal.